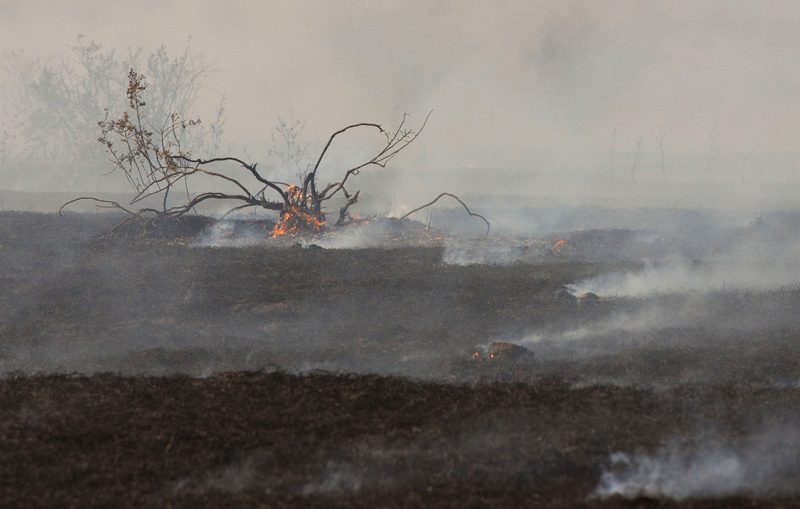 Historically, fire was a critical component of the prairie ecosystem, but it is no longer a player in the ecology of the northern Great Plains. We conducted our first controlled burn of nearly 900 acres in 2012 in an effort to expand prairie dog habitat and restore an important ecological process to the landscape. The fire was a result of collaboration between the Reserve, the US Fish & Wildlife Service, which provided expertise, personnel and equipment to conduct the burn, and World Wildlife Fund, which was instrumental in project design and funding. In Fall 2012, the Reserve conducted our first controlled burn of nearly 900 acres in an effort to expand prairie dog habitat and restore an important ecological process to the landscape.